The Thraex XV™ is a functional, collector's quality piece. Each unit is serial numbered in roman numerals. 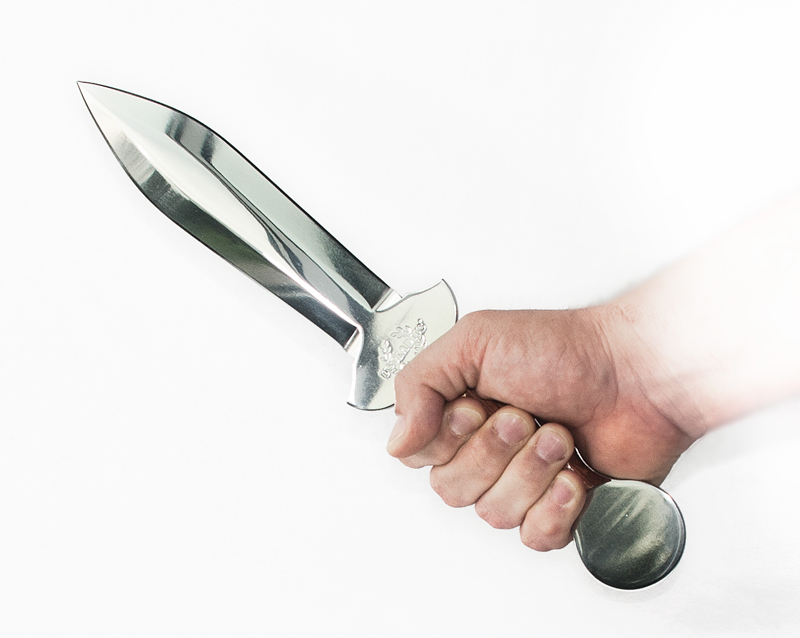 A must for any Bowie knife collector. Full tang stainless steel blade with high-mirror polish, exotic wood handles, double-edged straight blade and leather sheath. 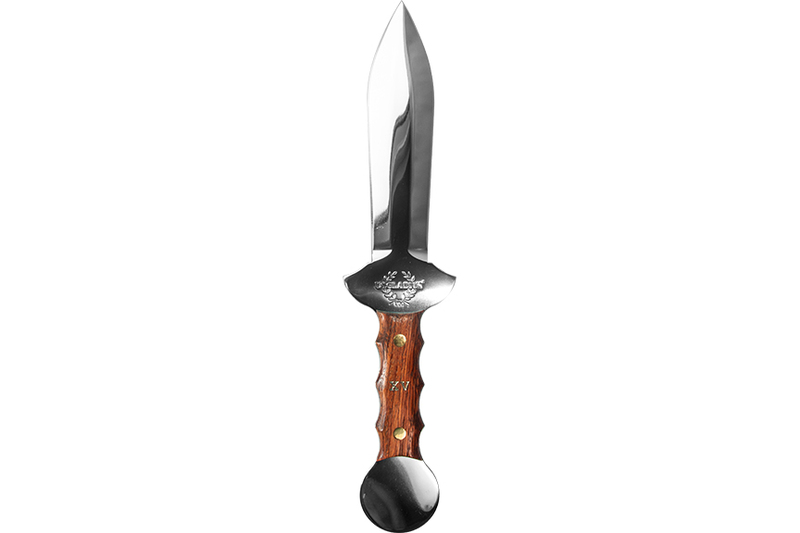 This knife is a collector's quality open edition and each blade is serial numbered.